Courtesy of artist Matt Tkocz via his Artstation account we can share for you some new great pieces of concept art of the Bumblebee movie for your viewing pleasure. 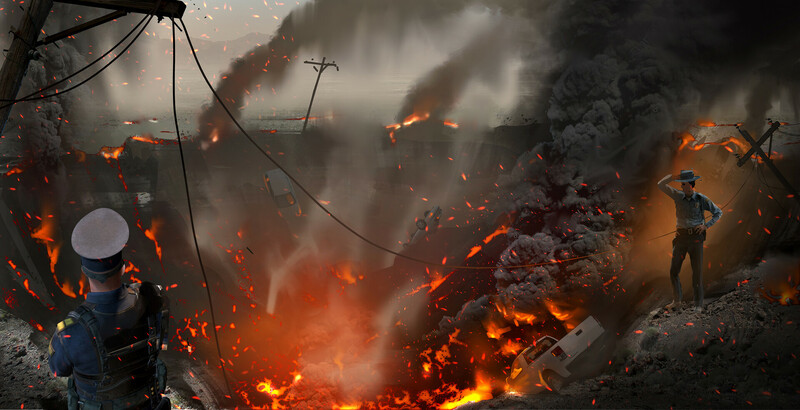 Impact Crater Scene – Some police officers checking the crater created by the impact of Shatter and Dropkick when they arrived to Earth. 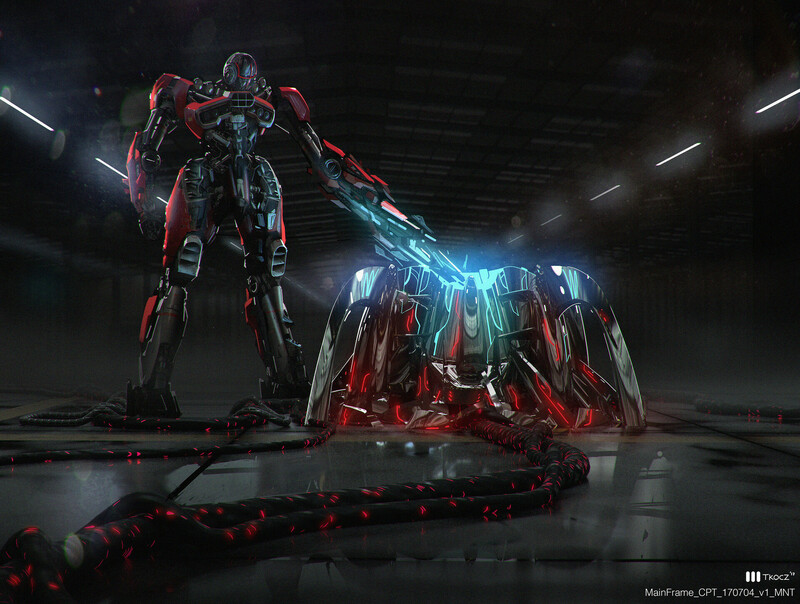 Shatter using a mainframe – We can see the evil Decepticon fembot in a design which is closer to her Studio Series toy. Bumblebee vs Dropkick – We can spot Bee in a more stylized design facing Dropkick in helicopter mode. 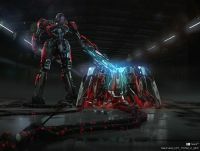 Tower Antenna Scene – A panoramic view of the final scene of the battle between Bumblebee and Shatter. Body shapes can be a good way to indicate gender, as long as it's done subtly. This also goes for males. You kind of want Optimus to be strong and masculine-looking. They can take it too far though. I find things like colored lips and heels very dated. Maybe done sparingly, but I find it really tacky that almost all female Transformers have to have colored lipstick (especially when we're talking about designs like 'not-Lugnut', who's face isn't even that humanoid). It would be like giving all male Transformers beards and mustaches. Even Bay understood to vary it up, and only give it to characters who it fits. What if they gave all the males colored lips too? I don't mind it in the actual film, but the concept art gives me the creeps. Okay I’d agree on that. Same, I don't really have any issues with her face. I actually really like arcee’s face. Nothing really wrong in my eyes. Still a lot better than the creepy doll like face (shudders). Mind you Optimus and Bee are the two characters that were designed before the rush to do that fanwank Cybertron scene. 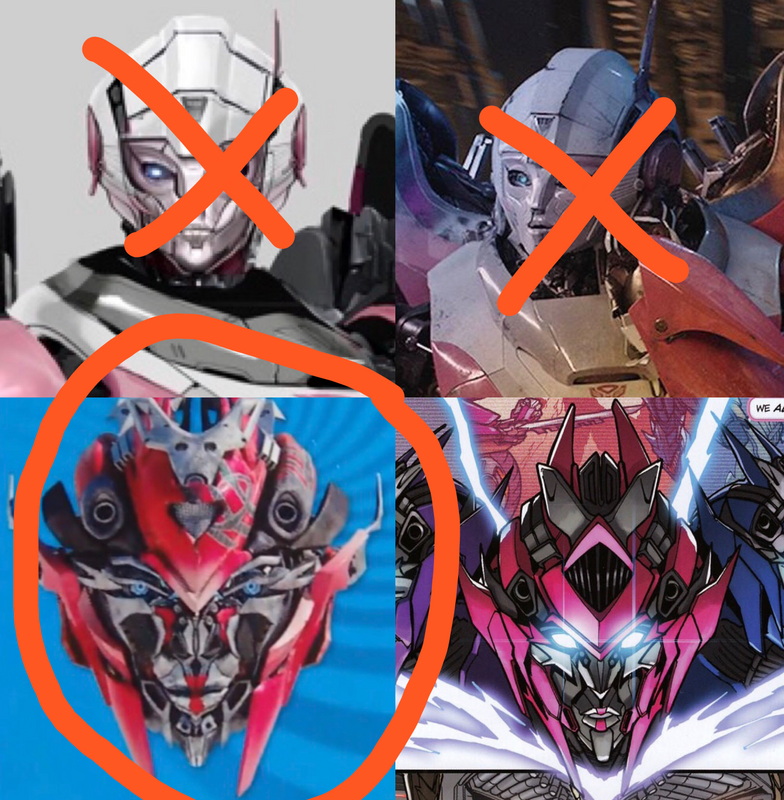 It's likely the other Autobots had to have those nondescript floating pupils inside of their skulls simply because it was faster to model their faces around those copy-pasted skulls than fully incorporated eyes like Bee and OP had. Arcee's little pinprick irises look hella creepy against her all dark eye sockets. She really should've had full blue eyes like OP and BB. Who said it was an insult? Oh nobody did, I just… actually I dunno. I think the lipstick thing is pretty much gone now. Apart from female Lugnut. I dunno. I don’t find it as big a problem. And even to the day it isn’t as bad. And much like this arcee we can see there is still a push to identify the characters with more subtle design in the body and face. I don't know. Are colored lips really sillier than a robot having a feminine shaped body for no reason? All times are GMT -4. The time now is 9:47 PM.